Photo: Courtesy Of Food and Drink/REX USA. With every meal, high-stress situation, workout, and even head cold, our blood-glucose levels are subject to change. Though the levels naturally rise and fall throughout the day, the human body functions best within a narrow range. That said, regulating our blood-sugar levels through exercise and, more importantly, a balanced diet can help reduce the risk of some major health complications. After we eat, carbohydrates break down into sugar and enter the bloodstream as glucose — a source of energy. Without an adequate amount of insulin, a hormone that regulates glucose in the blood, people experience high-blood sugar (also known as high-blood glucose or hyperglycemia). Fructose (a naturally occurring sugar found in fruits and plant sources) does not cause insulin to be released. Moreover, studies show sucrose, or refined sugar, which is one molecule of glucose bonded to one molecule of fructose, results in higher blood-sugar readings than the other two types of sugar alone. Over time, repeatedly high-blood sugar levels increase the risk of serious health conditions, including heart disease, stroke, and diabetes. For those with diabetes, it’s especially important to monitor peaks and valleys. While exercise and stress management play a huge role in managing healthy blood-sugar levels, food choices are especially important, and perhaps easier to control on a daily basis. Research shows reducing our intake of sugar and grain-based foods can successfully control blood-glucose levels, but other studies suggest increasing the consumption of some foods can do the same. 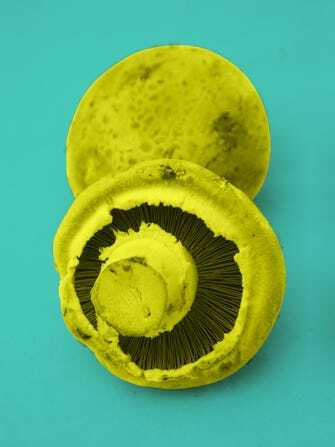 A recent study found portobello mushrooms had a beneficial effect on blood sugar. Participants (eight men and eight women between the ages of 19 and 29 years old) who sipped a mushroom-powder-infused glucose drink showed a more gradual decline in insulin than that affected by a glucose-only drink. Though the sample size is incredibly small, this isn’t the first study to highlight blood-sugar stabilizing foods. Other studies suggest protein, healthy fats, and spices including turmeric and cinnamon can help control blood-glucose levels. Spikes and drops in blood sugar can get in the way of our ability to focus, energy levels (you know that crash after scarfing down a thick slice of birthday cake? ), and weight maintenance. Rather than munch on cartons of mushrooms every day of the week, many dietitians and doctors recommend coupling regular exercise with a balanced diet — meaning a combo of protein, fat, and complex carbohydrates (think brown rice instead of white) for healthy blood-sugar levels.